Alma Park comprises 2,400m2 of converted, previously redundant, farm buildings in Lutterworth that is divided into 14 office units, a nursery and conference rooms. 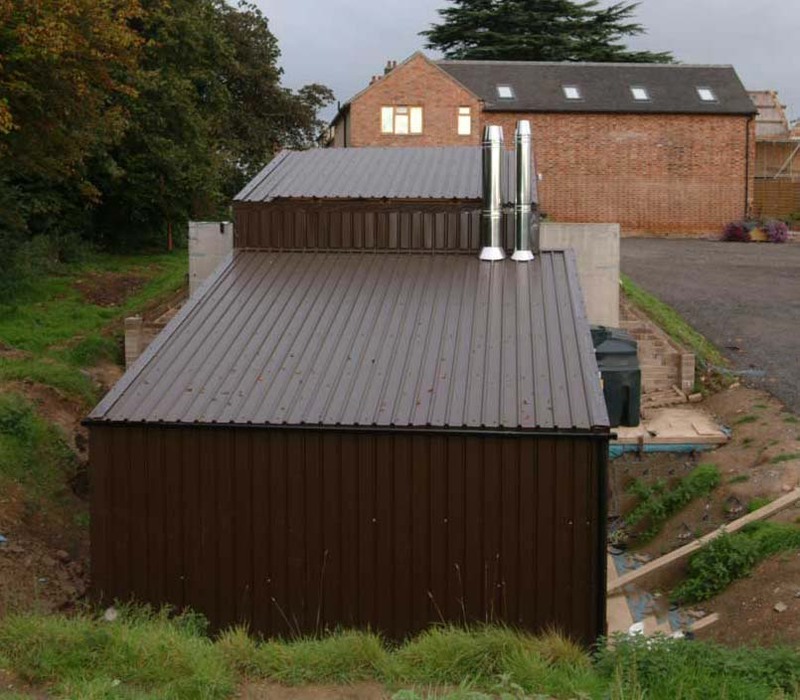 Rural Energy designed and installed a turn-key biomass heating system which provides the businesses on site with low cost, renewable energy with a minimum carbon footprint. Space heating and hot water is produced in a purpose built energy centre. 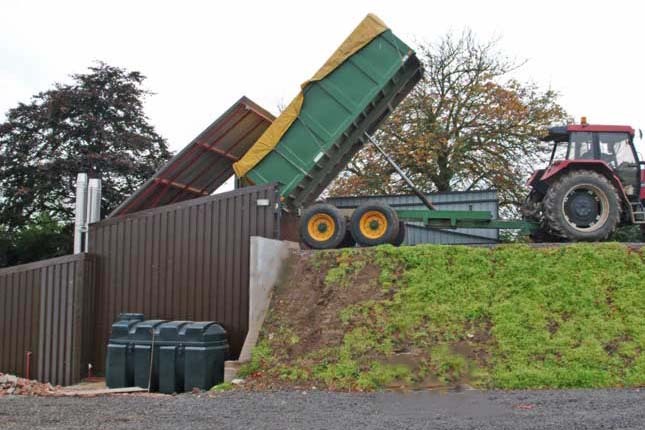 This has been contoured into the landscape to produce an attractive visual effect and provide easy access for wood chip deliveries directly into the integrated fuel store adjoining the plant room. Design features that were purposely considered include a hydraulic hinged roof and vehicle access ramp for the tipped fuel deliveries. 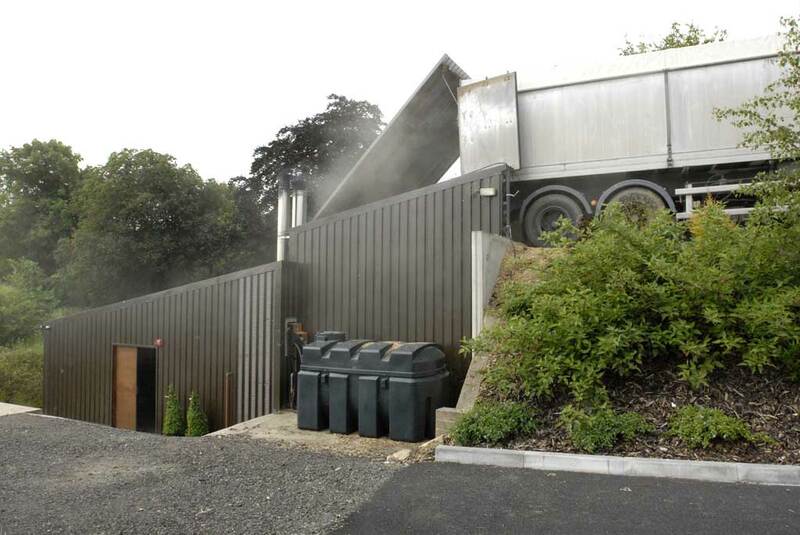 The new Herz Firematic 199kW biomass boiler was installed following an increase in heat load demand, making the previous 130kW biomass boiler redundant. The timing of the Firematic heating system also made the installation eligible for the government’s Renewable Heat Incentive (RHI) payment scheme, with completion in September 2012. The sophisticated control system optimises the use and efficiency of the biomass boiler to provide up to 90% of the required heat and hot water. A 130kW oil fired backup boiler fires up automatically at the occassional times when peak load is needed or as a stand-by for the biomass boiler system. A district heating system of underground pre-insulated pipes distributes the heat to all premises on the site. Hot water is distributed individually between each unit through hot water radiators and a hot water tank system. The owners of Alma Park planted 4 hectares of poplar trees in 2005 which is now harversted every 5-7 years on a rotational basis to provide wood fuel for the heating systems.